You just gotta love the Japanese. 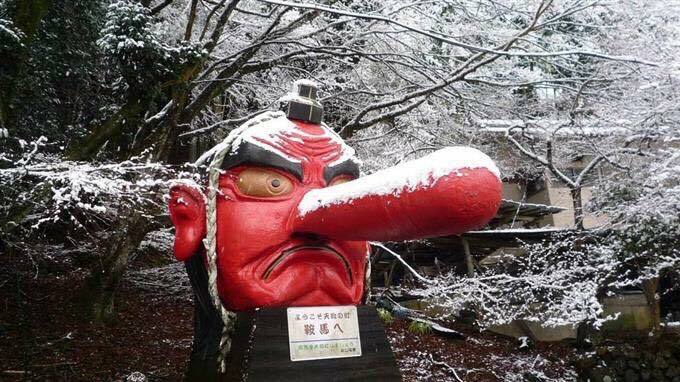 This is the statue of a “tengu.” Tengus are believed to be the legendary protective and perhaps dangerous spirits of mountains and forests in Japanese folklore. 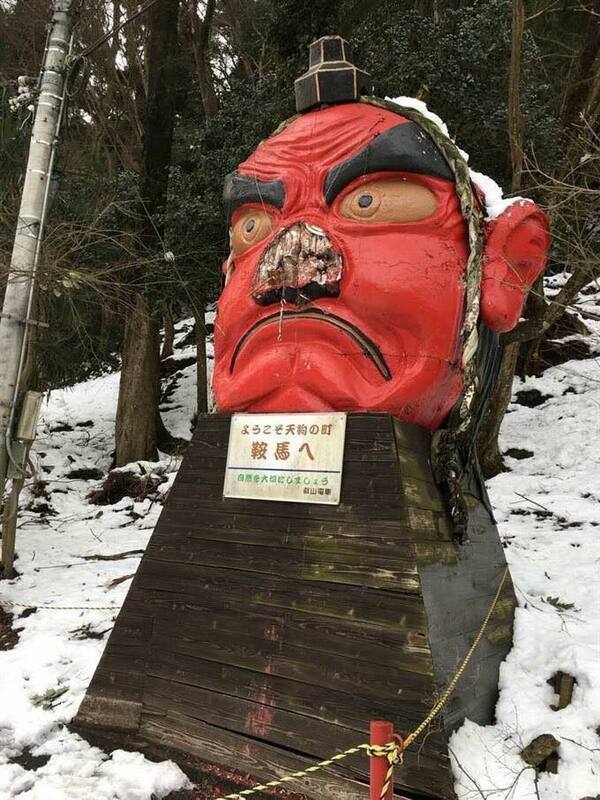 An unexpected snowstorm caused its nose to be broken near Mount Kurama in Kyoto, Japan and the locals quickly found a way to fix it. 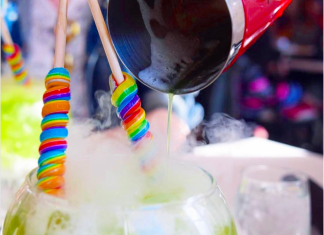 The Facebook page Spoon and Tamago published this post and it’s already got near 20K shares and more than a thousand comments, many of which wished the statue a speedy recovery. 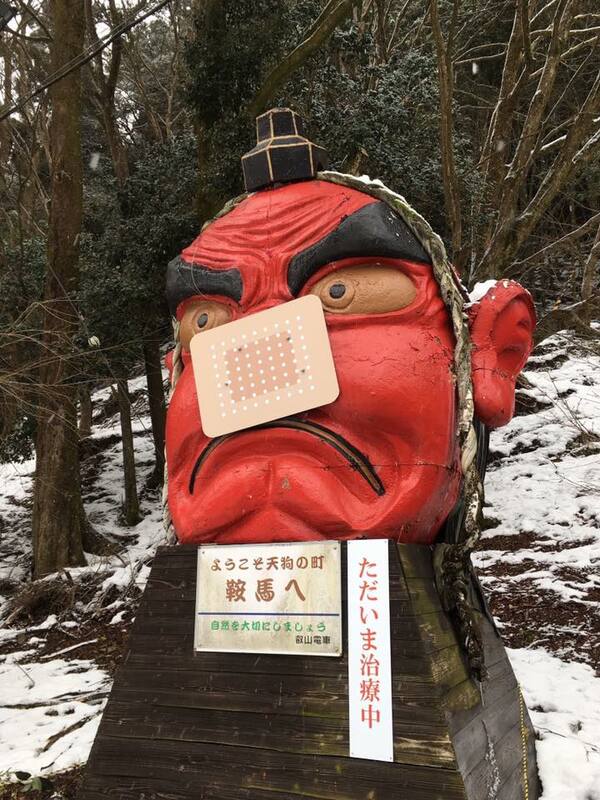 So the question remains: do the Japanese have Tengu sized band-aids lying around? 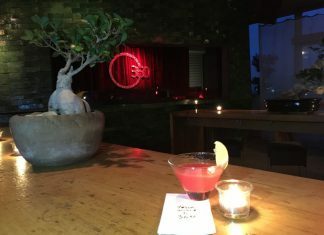 via lostineminor.com, nextshark.com, Spoon & Tamago.